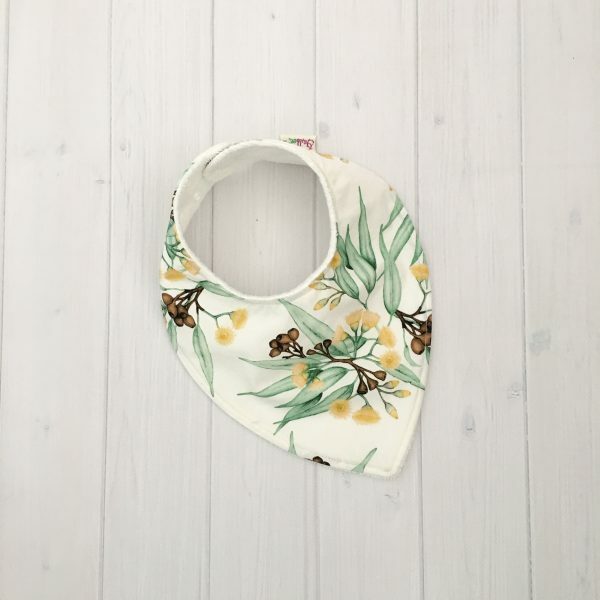 Our Yellow Blossom Eucalyptus dribble bib and traditional bib uses a gorgeous printed fabric designed by a talented Australian artist – Lauren Kelly. The fabric is printed right here in Melbourne and then sewn by me in my home studio. 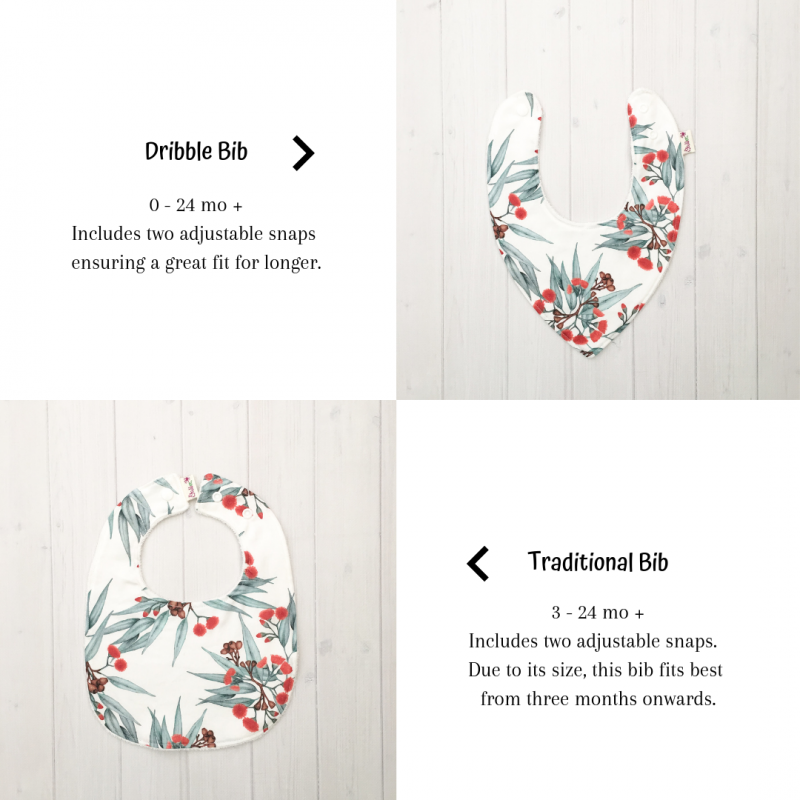 These bibs make a perfect gift for babes of all ages. Modern, fun and practical.